Posted 5/31/2018 11:24pm by Patti Rosenberg. This week's farm share is for Weekly members only and includes freshly picked CHERRIES (not pictured). Happy Wednesday everyone! How is everyone doing with their boxes every week? Have you tried any of the recipes I've sent? I'd love to hear some feedback, hope you are enjoying our weekly "chats" as much as I am! We have a wonderful box of goodness this week - everything pictured above plus some CHERRIES!! How fun is that?! Here are some ideas! Prepare 2+ cups fruit (wash, pit, peel, cut, etc.). 1 cup flour + 1 cup sugar (reduce for sweet fruits) + 3 tsp baking powder + 1/8 tsp. salt. Stir dry ingredients together in mixing bowl; add 1 cup milk and mix until thoroughly combined (don't overstir); allow batter to rest while 3/4 stick butter is melting in 9"x9" baking pan in oven while preheating to 350 degrees. Pour batter into butter and swirl together gently. Evenly distribute fruit over batter. Bake @ 350 for 30-40 min. until top is golden and knife comes out clean. Best served warm with vanilla ice cream. Notes: 1. Reduce ingredients to 3/4 c. flour,sugar, milk + 2 tsp. b.powder if using a pan smaller than 9x9. 2. If your fruit is very juicy, you may need to reduce the amount of milk used in the batter. 3. If making with peaches, consider adding a bit of nutmeg &/or cinnamon. 4. You can also mix fruits. I like to mix peaches and blackberries as they are usually "in season" at the same time. 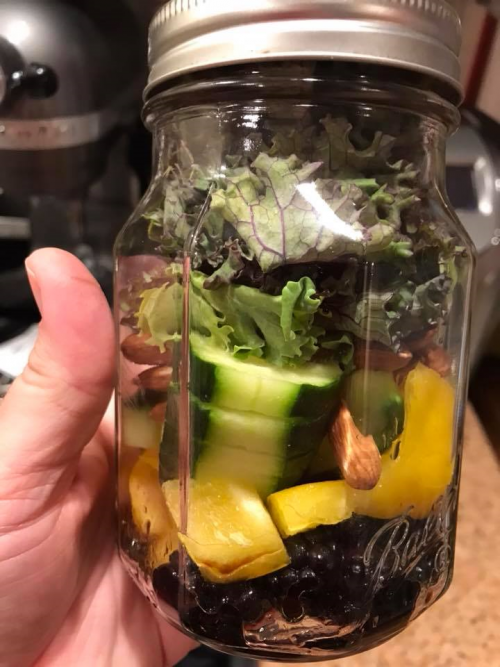 Kale - I finally tried a "salad in a jar" this week and it worked really well! 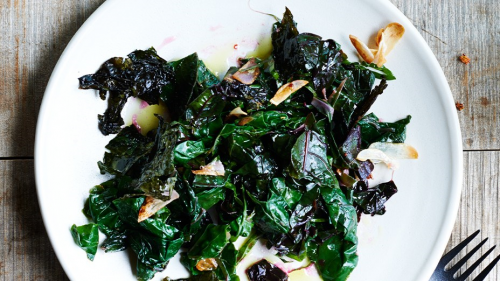 I used some kale as my green and I find that if I'm going to use kale in a salad it's important to let the dressing sit on the green for a bit longer than a typical salad, to permeate the surface and soften it a bit. The results were tasty and it made for a healthy lunch on a busy work day. 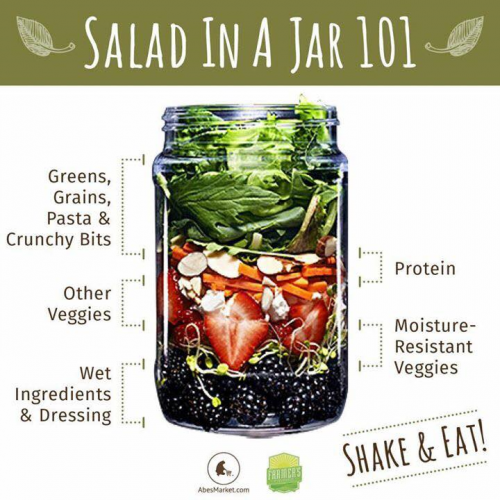 I used this as a guide to make mine, you can make several jars at once and have lunch prepared ahead of time for days with fresh, nutritious ingredients. Pak Choi, Onions and Cabbage - These ingredients would work well in a stir fry, or in this egg roll in a bowl recipe I discovered a few months ago when I was trying to hop on the Instant Pot bandwagon. I must admit I never fully fell in love - any fans out there? I want to love it and use it more than I do. This recipe is easily adaptable to a regular pan and you could also use your garlic scapes in there! With the pak choi AND cabbage, there's extra veggie goodness and nutrition packed in. 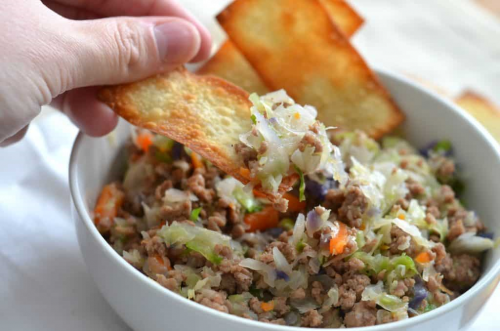 https://www.idonthavetimeforthat.com/instant-pot-egg-roll-bowls/ This would be particularly useful if you didn't happen to use up your sausage from last week's share! 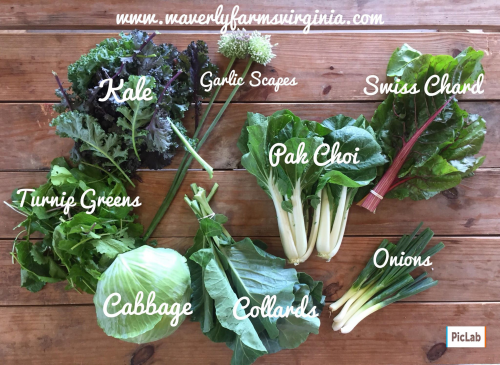 Collards - One of our CSA members has been sharing pictures of delicious food that she is preparing from the weekly shares. 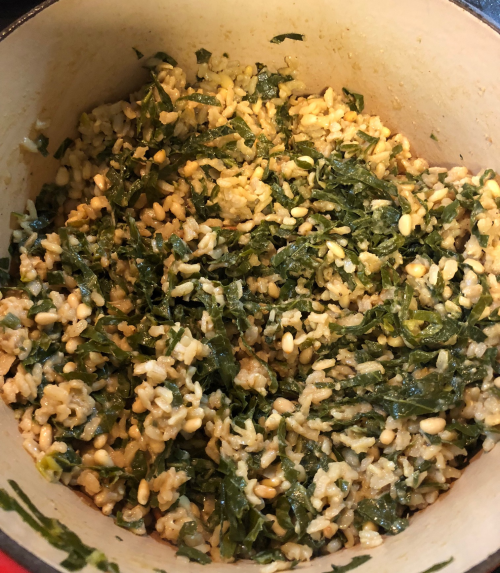 She made dirty rice with collards, what a great idea! 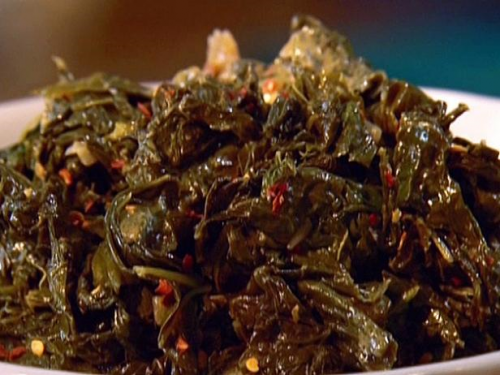 Yummy and hearty, this would pair well with the pork ribs from this week's protein share. Thanks for sharing, Tracy! Keep em coming! For this week's protein share, you will receive pork ribs, pork roast and hamburger. 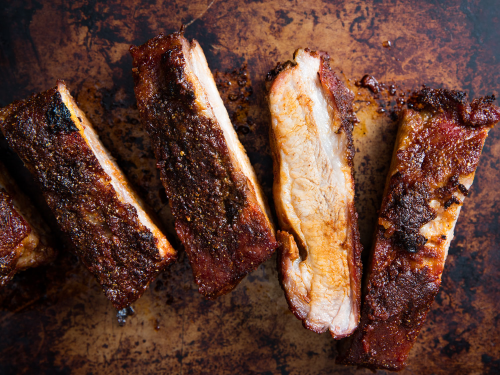 Pork ribs - This sweet and gooey recipe would compliment any of the greens with a tangy or spicy preparation - I don't have a smoker myself so this could be a tasty alternative. Pork Roast - You could go with several different flavor profiles here, but if you are pairing it with a flavorful side dish, you may want to go with classic tastes such as garlic, salt and pepper - I love preparing a big piece of meat on a Sunday and being able to use it for meals during a busy week. https://cookthestory.com/how-to-roast-pork-perfectly/ If you want to reinvent the leftovers, you could dice them up and put into the dirty rice or slice thinly and put on some rolls with some barbecue sauce and make a yummy sandwich! Besure to like us on facebook (link below) to get all of the latest farm news!